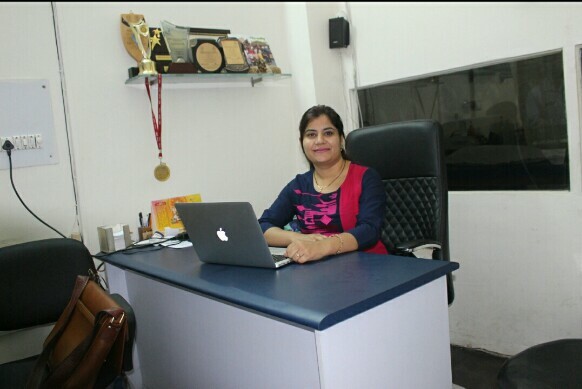 cervical spondylosis, stroke/paralysis, low backache sciatica, cerebral palsy, frozen shoulder, post fracture/Post operative rehab, knee osteoarthritis, heel pain, sports injuries, muscle spasm and cramps, neurologic conditions & Services Like: Yoga, Aerobics and Lamaze Classes are also available at our Patel Nagar Clinic. Confirm to Dr. Chakshu that you found their Phone Number(s) from Doctors In Citi. M.P.T.,B.P.T.,C.D.N.P. (SOUTH AFRICA),C.M.T.,PGDNR,CKTT,P.I. 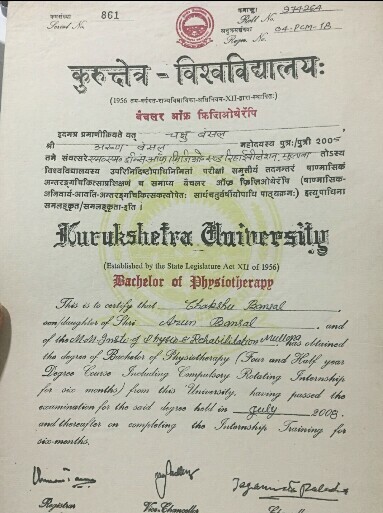 Bachelor in Physiotherapy (kurukshetra university). Physiotherapist In Patel Nagar. 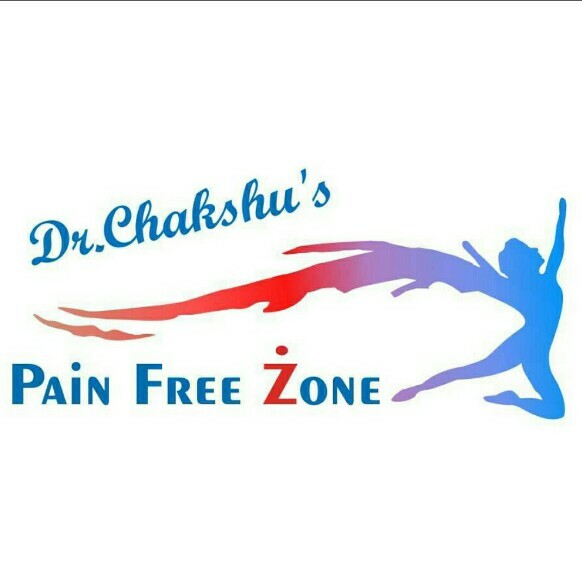 Dr. Chakshu have more than 4 years of experience in treating patients, Actively used various techniques of Physiotherapy for treating patients, Presented posters in national and international conferences, Have published articles and chapters in various newspapers and magazines, Have organised workshops. 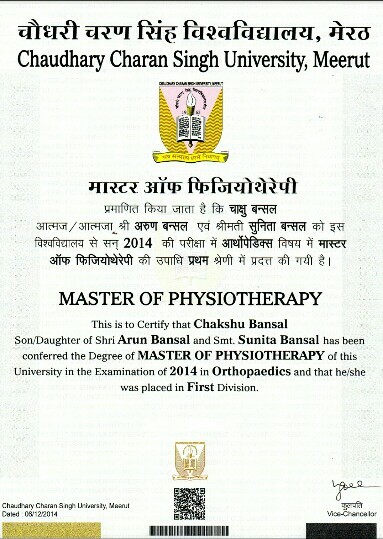 Have attented various workshops and CMEs, Have Treated approx 5000 patients successfully. Have Tieups with companies like Axis opticals,Story event managers etc. Organise free camps. OTHER TREATMENTS ARE ALSO AVAILABLE AT OUR PATEL NAGAR AND RANJEET NAGAR CLINIC: Electrotherapy modalities, shortwave diathermy, interferential therapy, transcutaneous electrical nerve stimulator, ultrasonic therapy, EMS, hot/cold packs, paraffin wax bath, exercises, manual therapy, mulligan and maitland concepts, muscle energy technique, myofascial release, oscillation techniques, cyriax method, chinese therapeutic massage, fitness.